Little Penguin has problems: his beak is cold; there s snow everywhere; the water smells salty; he waddles; he looks the same as everybody else. No it s not easy being a Penguin! 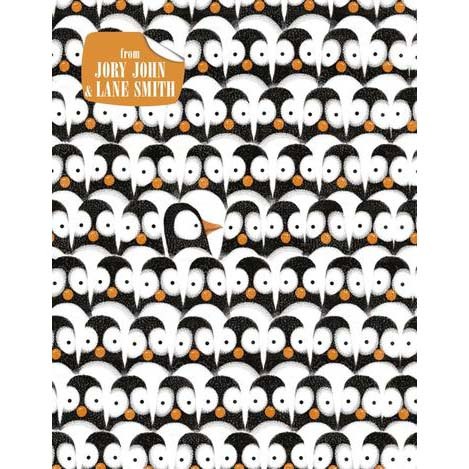 In this hilarious first collaboration from Jory John and Lane Smith, a penguin levels with human readers about what penguin life is really like… and it isn’t all fun and games! Have you ever considered running away to Antarctica? Of course you have! Because it’s a land free of worries and responsibilities! Think again, my friend. This penguin has come to tell you that his life down there is no picnic. For starters, it is FREEZING. Also, penguins have loads of natural predators. Plus, can you imagine trying to find your mum in a big crowd of identical penguins? This book is sure to tickle all funny bones, and will elicit appreciative sighs from the adults reading it aloud, too! Jory John and Lane Smith depict one of those days so honestly, while still creating a feel-good, family read-aloud and picture book comedy gold! There have been so many picture book penguins, but this little fellow is so fresh: hysterically funny in his misanthropy yet still completely endearing!